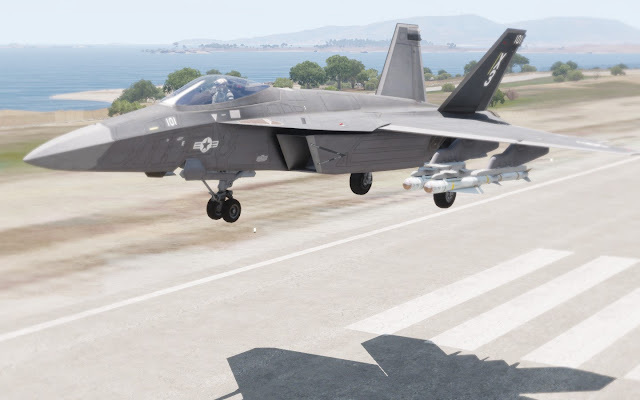 I got the Jets DLC for Arma 3 and it is time for some fun from the sky. 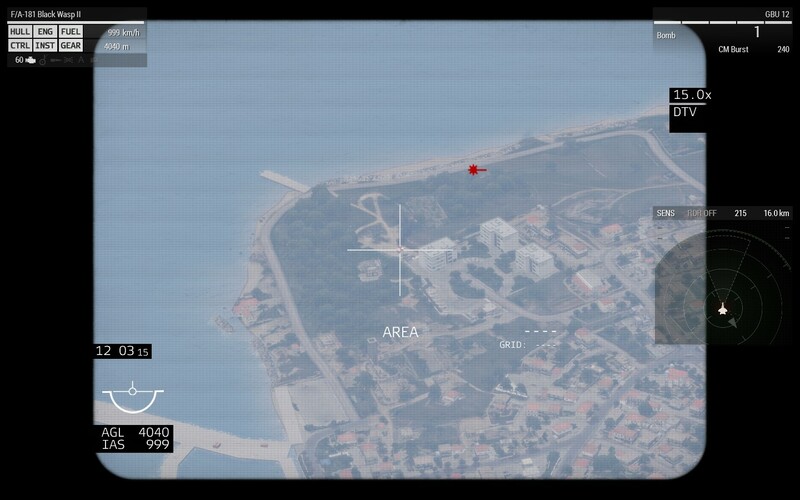 A fully loaded F/A-181 Black Wasp II over the skies of Altis. The DLC by itself is a bit "meh!". The flight model is wonky, which is not surprising given that you can barely drive a car in Arma 3 without crashing miserably. The avionics, although you interact with it via your keyboard, are OK. 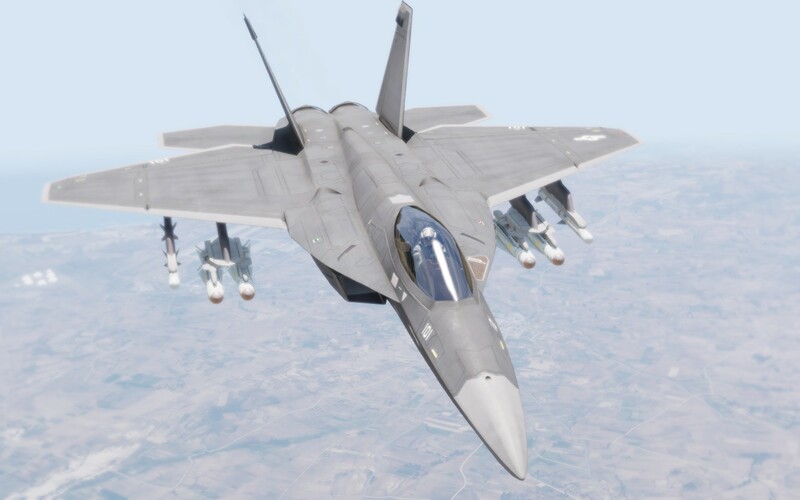 The air combat is arcadish and better left alone. The ground targeting system is satisfying, which is surprising given that is very simplified and generic. 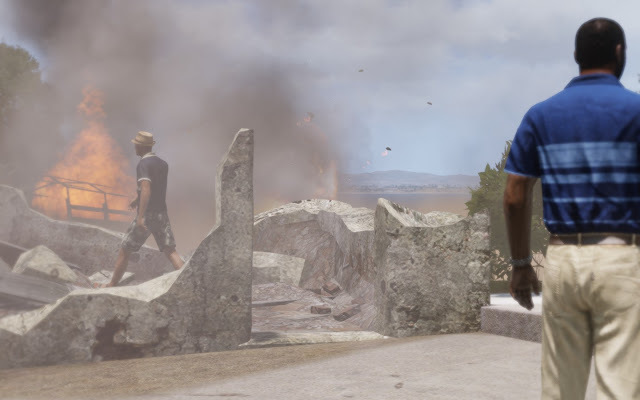 And this reveals the crux of this DLC: it is intended to be enjoyed in the context of the small unit ground combat where the Arma franchise always shined. 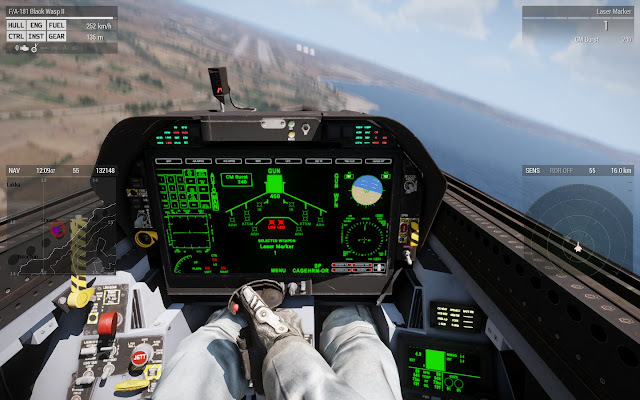 So, don't expect a flight simulator but rather an extension of whatever else Arma 3 does right. So, today I take to the skies in my Wasp II to test how a precision like the GBU-12 can minimize collateral damage. It's a little experiment/training thing. Mission for today: destroy a truck in Pyrgos. 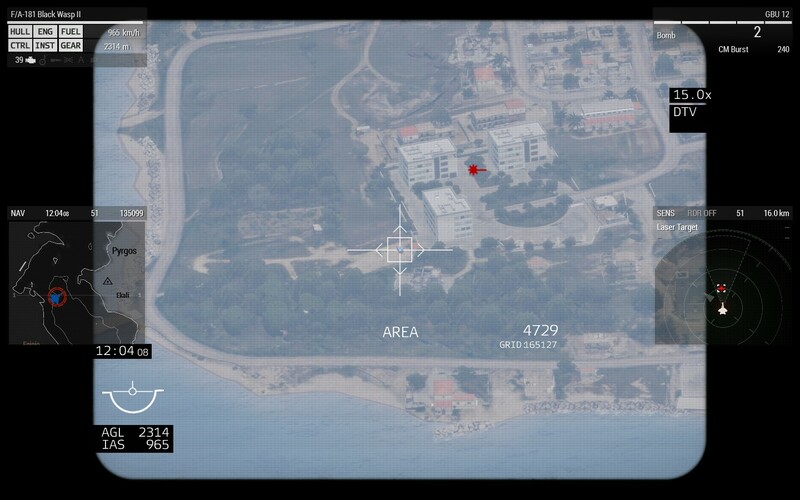 This is the targeting camera, showing the target. The laser is on and my aircraft is flying straight into it at ~7,500 ft. The dot in the center of the square indicates that the GBU-12 can be dropped now. My first GBU-12 hits the truck. A civilian, just a few meters from the impact, does not appear to have been injured. 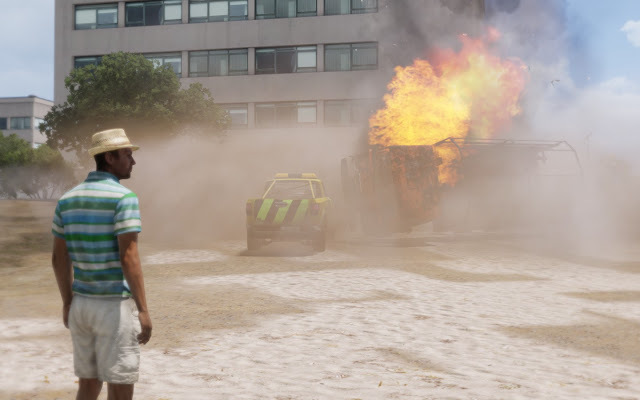 A secondary explosion prompts the poor fellow to hit the ground. A nearby building was completely demolished. But no civilian casualties whatsoever. A picture taken from the window of one of the multi-story buildings in front of the target. Battle damage assessment. 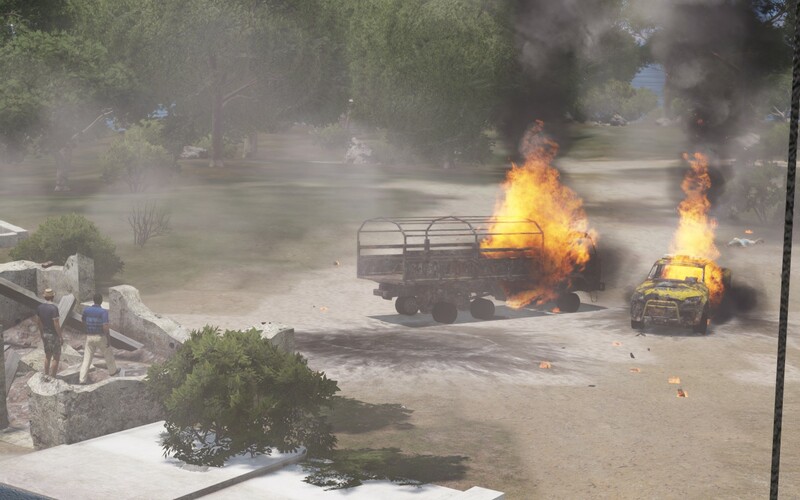 The vehicles on fire are in the center of the crosshair. 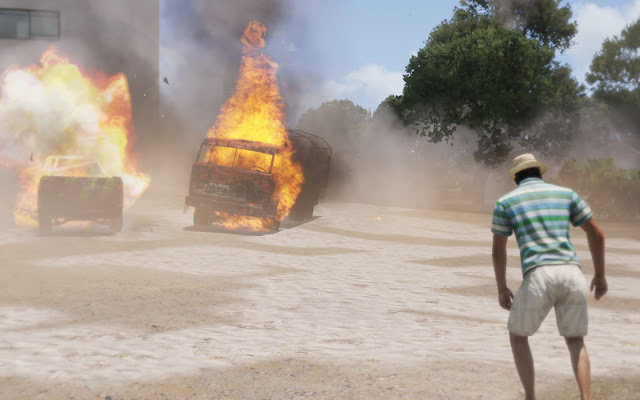 I had an extra GBU-12 and could not resist destroying that building near my previous target. Inbound for landing. I still have to try the carrier included in the DLC. There is no way to trim this bird, so everything is done with the stick. 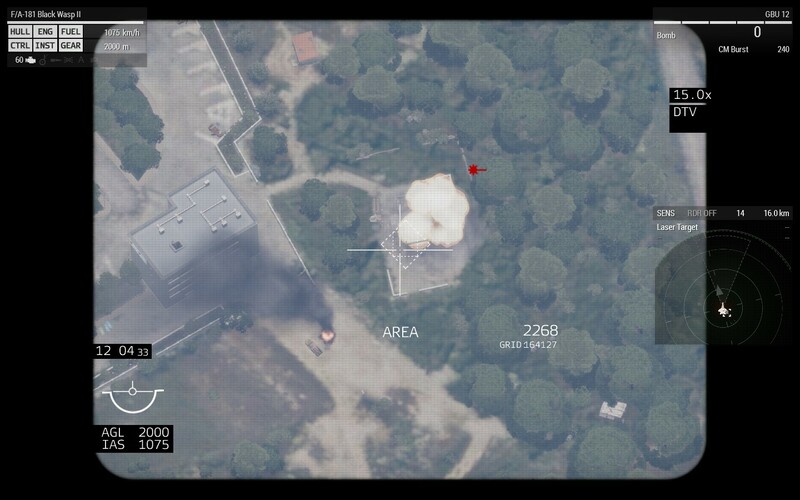 So, my little experiment concludes with no civilian casualties. This should be taken with a big grain of salt, I bet there would be a lot of concussions in real life (if not deaths). But in the virtual world of Arma 3, nobody was hurt.